The 30 Days of Sunset series ends here. 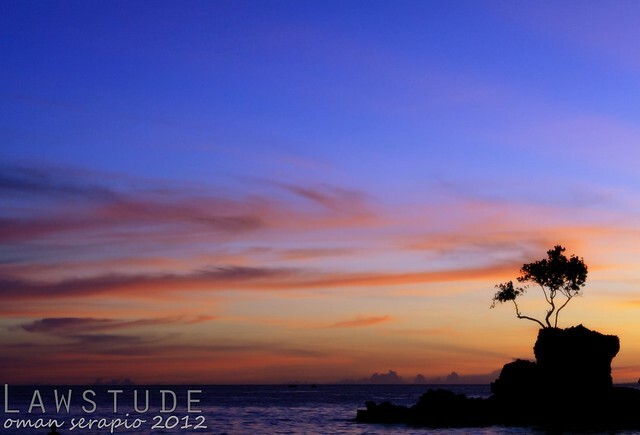 I immensely enjoyed sharing these photographs I have taken in White Beach, Boracay. These were mostly taken in almost the same spot for three straight nights with the paraws or sail boats, Willy's Rock and some beach combers adding a little extra to the scenes. In almost six years of this blogs existence, this is the first time that I have done such a series and I do hope that you enjoyed looking at them as much as I enjoyed taking and sharing them with you. Hopefully, I could do another series of this type late this year or early next year and I was thinking of several subject like sunrise, things to do in the metro or food trip. But until then, I will be back to my regular programming. Such a gorgeous series, Oman! I have enjoyed them so very much! Thank you for sharing the beauty of your world with us! I hope your week is going well! Enjoy! Wow. Pang desktop photo ito. Love it. Loved the series too! All those hues give such... Calming effect. Thank you for sharing these wonderful photos Oman. I will be looking forward to the sunrise series too or the food trip one. Ang gaganda naman talaga ng mga kuha. Very refreshing to the eyes. Great series. Looking forward for more cool shots. You can find all those sunsets Amilegst . Just ask for Amanda Summer. Scenes such as these make me heart Boracay more. And I enjoyed this series so much too! Magazine cover-worthy and truly stunning. This is a perfect shot to end this series - a true sundown. Thanks for sharing this beautiful series! What a dedication to complete the series. :) Looking forward to the food trips.